Tusk is the number one Tribute to Fleetwood Mac in the world, bar none. No wigs, no backing tracks, no gimmicks, just five musicians recreating the music of Fleetwood Mac to perfection with note-for-note renditions that no other Fleetwood Mac tribute on the touring scene today can come close to duplicating. Tusk covers all the great hits of Fleetwood Mac, which has featured the talents of Mick Fleetwood, Christine and John McVie, Lindsey Buckingham, Stevie Nicks, and others over the years. 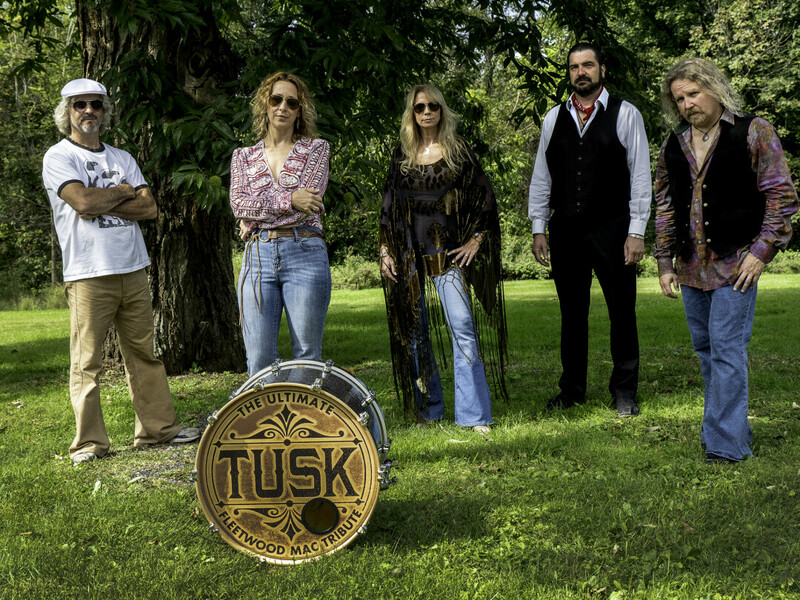 The five seasoned, well-respected musicians comprising Tusk have been making music together in various combinations and styles, in original outfits and in cover bands, for over twenty-five years. It seemed only fitting that they should come together to form the Ultimate Fleetwood Mac Tribute, and pay homage to a group that dominated the charts during the band members’ formative years. Authentic-sounding and always respectful, Tusk leaves no stone unturned in replicating the sounds of one of the world’s best-loved, top-selling bands. See them live in the RCU Theater at Pablo Center at the Confluence on Saturday, April 13! Find out more about Tusk on their website.